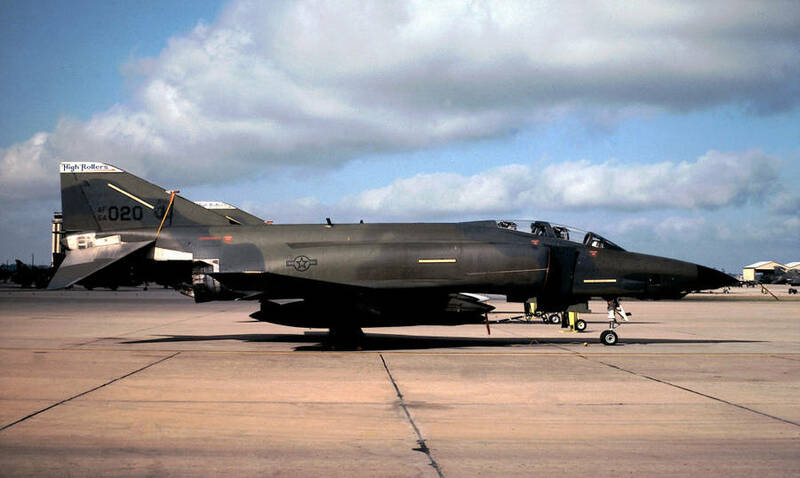 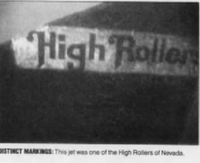 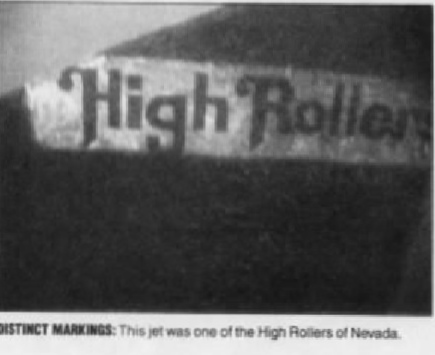 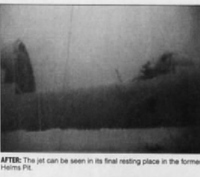 This RF-4C, 64-1020, crash landed at Reno Airport 27 Apr 1988. 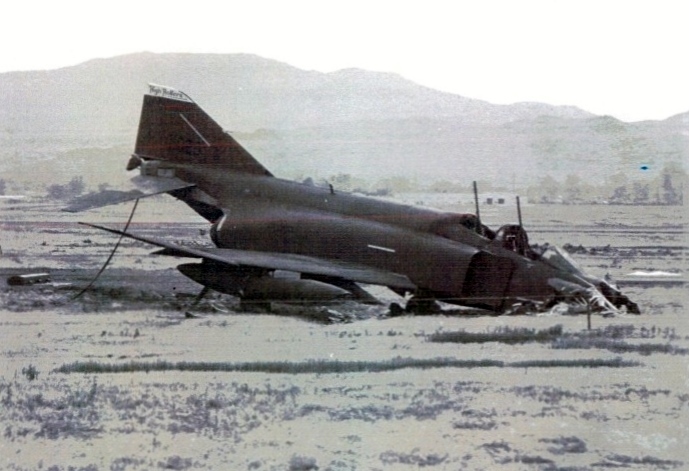 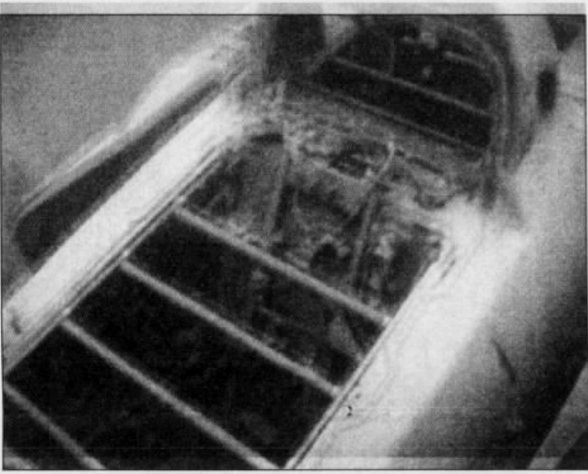 Utility hyd failure, both crew ejected safely as it departed the runway. 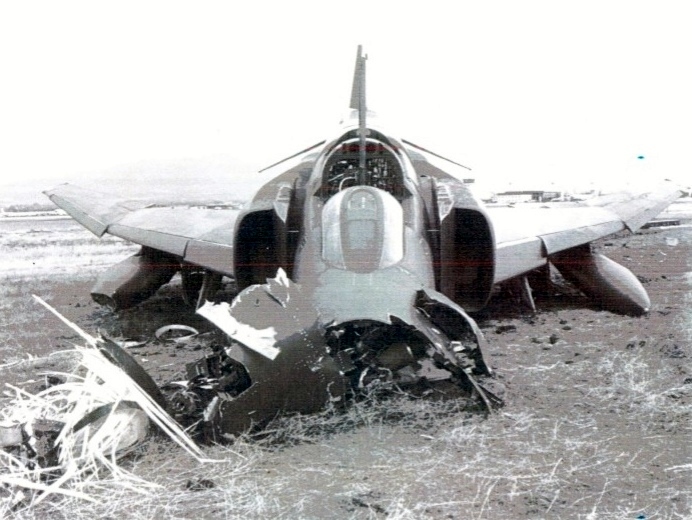 Write-off. 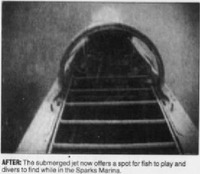 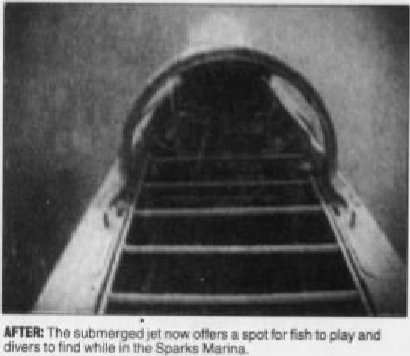 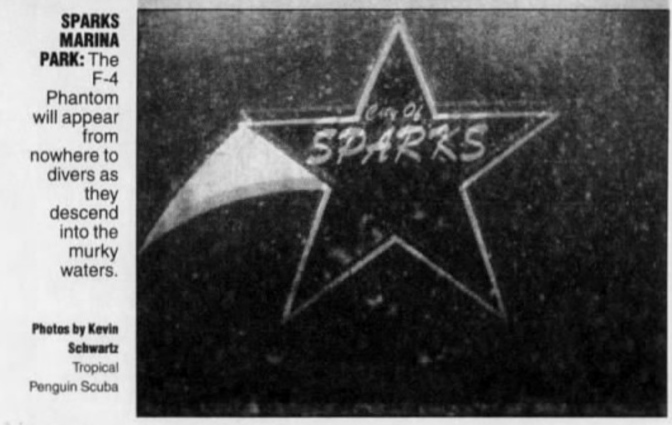 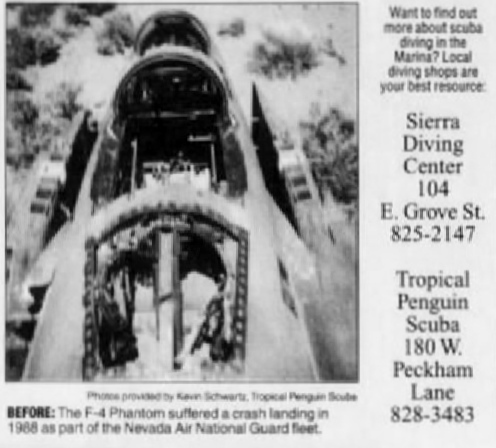 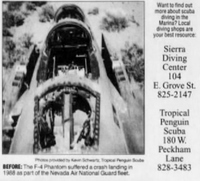 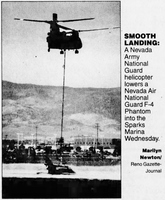 City of Sparks bought the wreck and sunk it in Marina Park, Sparks, NV (with the help of an Army Chinook) in 2001. 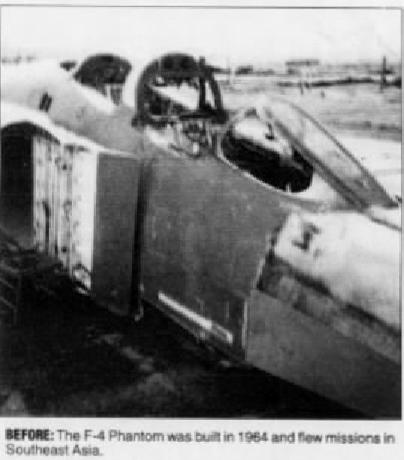 Engines removed, bars over the cockpit so you cant get stuck. 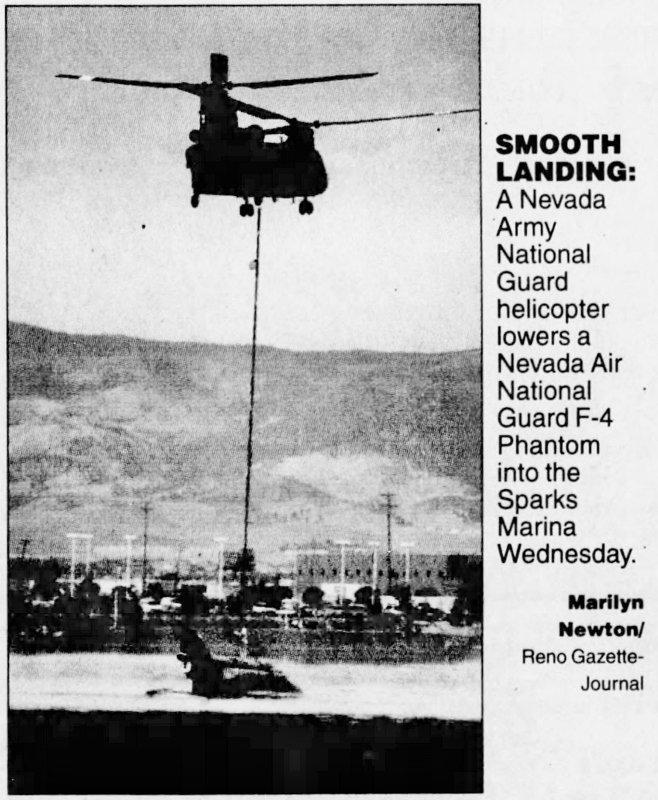 So she's not far from her last home with Nevada ANG at Reno Airport.